Perform Niche selection. Niche, If you have heard this term the first time then first let me clear you about what is niche. Niche is basically a topic or a subject that a blog or a website follows. For example: If you are solely writing SEO articles on your blog then it will be called SEO niche blog. Likewise, a blog sharing knowledge about the fashion is called Fashion niche blog. I hope that now you know about the niche. This simple word “Niche” creates huge trouble for the newbies or sometimes for professional too. Niche selection isn’t an easy process. Every blogger or webmaster has to go through the niche selection process. I also feel difficulty in choosing a good niche to start a new project. We need to brainstorm the ideas. The struggle doesn’t end up here. Afterward, we need to check the competition for it. If the high authority sites are already ranking on the same niche, then it becomes difficult to find the profitable keywords. Beyond all the troubles, there are some ways to find out the most profitable niche having low competition. In this post, I will discuss one simplest way to know the relevant niche in your niche. The niche should also be of your interest; either you can’t grow your blog. Also, Read best domain registrar Namecheap Vs Godaddy. So let’s know about this process. Before starting this process, you have to confirm what’s your interest? This will keep you motivated until it becomes a profitable blog. Another motivating factor could be money. However, it’s only fruitful when you are an expert in developing money making niche blogs. If you are a beginner and didn’t get able to earn money after few months of starting a blog, in that case, you will surely leave out the blog. So as a beginner, first you should go with your interest. Just assume that you got interested in Internet Marketing and want to rank “Internet Marketing” keyword. Do you think that ranking this keyword is something like plucking a bunch of flowers? If interested check out how to get free .com domain name. If yes, you are wrong. 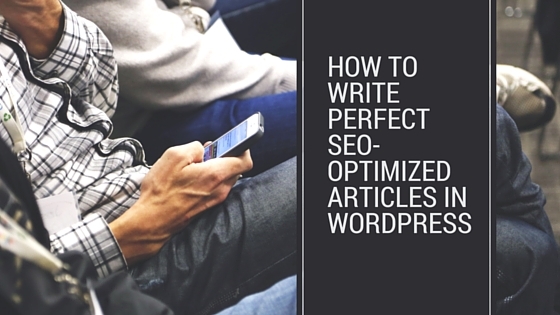 You are going to waste all your efforts on a niche which is very close to impossible to rank. 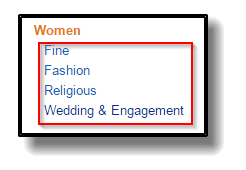 So just forget to rank this keyword until you have a huge budget in your bank account. What else can you do then? You need to break down this keyword further. 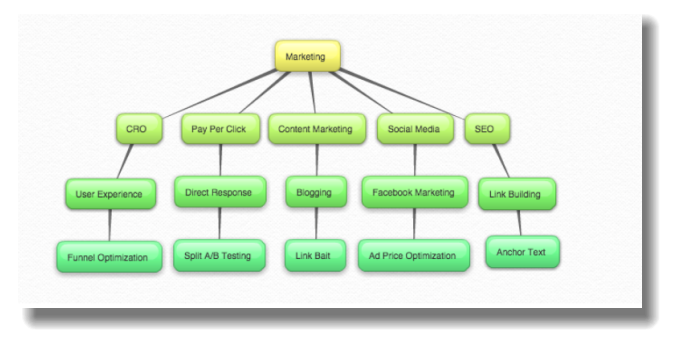 The above screenshot is the breakdown of marketing niche into CRO, PPC, Content Marketing, SEO, and social media. If you like choose SEO then further go down. Now link building is also your interested topic. You can start a blog on link building. Thus, you can start a blog on link building and share your expert knowledge with the readers. This way, any niche can be divided further in order to find a low competition niche. As you go deeper into a niche, the possibility of having profitable niches increases surprisingly. With the continuous analysis of a particular niche till the end, you might get you the goldmine of untapped micro niches yet to be found by the marketers. You have to have patience throughout this process. It’s not simple. It can take longer like a week or more. After deciding on a particular niche, you need to verify the feasibility of that niche. If all the keywords related to niche have very low or almost no search count, it’s no sensible going ahead with the same niche. I admit that I have detailed all this process through a simple example. 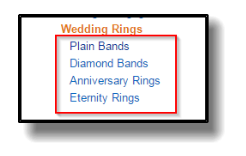 But what if I don’t like the Internet Marketing niche, and want to start a Jewelry blog? I have an ultimate solution for you that we call Amazon. Now we are heading towards Amazon.com for its bestseller category. Here we expand the Jewelry category. You got five categories to work on. You want to break it further, so keep expanding until you reach at the end. For example, you choose Women. This time, you got four more categories. You decide to go with Wedding & Engagement and expand it further. At the end of this classification, you got four categories you can work with. However, there is no surety it will be profitable, but yes, it’s able to remove your confusion to a great extent. 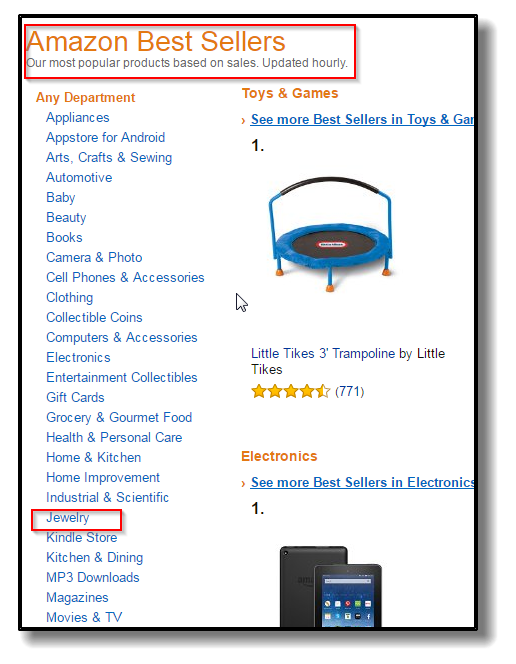 This way Amazon helps in finding a niche idea. In the best-seller category, you will find more opportunities. 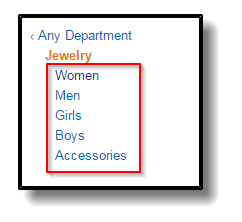 If you want to explore the other options here, go across the other categories. Many money making ideas come out of these categories. You just need to utilize them in your favor. Once you acquired mastery in it, finding a niche won’t be difficult for you. Always check the feasibility of the niche whether you are using Amazon to find a niche or using any other niche finding the technique. Your selection will be fruitful only; else you may develop a fail project. Therefore, plan everything before starting a niche blog. Select a right niche. Once you confirmed the niche, check the keyword competitiveness. If you find any scope then only go further. Check the pricing range of the Item or product you are thinking to create a blog around. In the case of monetization with the advertisement program like Adsense, check the CPC of keywords. The profit amount should be greater than your cost of establishing a niche blog. The market size is also a considerable factor in deciding the success or failure of a niche project. If you choose products having a limited market, then pick a product price of $100. This criterion covers the keyword with very low search volume. The product cost may vary according to the keyword searches per month. If I would be asked to select a product with a search count of 10-15 per month, I will choose a product with pricing $100 or more. Not less than it. Well, niche selection is not a fixed process. Every expert learns it by the time. Always choose the interest-driven niches to stay motivated for a long time because the lack of motivation may turn the niche project towards the failure. Moreover, the people, who are confused with niche selection, Amazon is the best option for them. It makes easy to everyone finding an interest-based niche in a systematic way. Still feel confusion in niche selection? Don’t worry. Shoot your queries in the comment section. I will give you the right answer.